Picture submitted by John Turner, of Turner Lawn and Landscape. 859-801-3682. 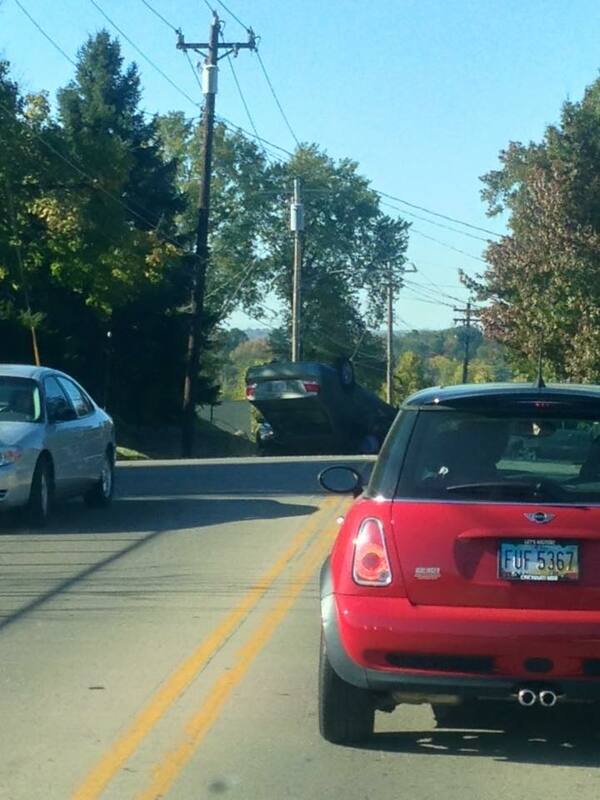 A car accident on Highland Avenue has left at least one injured and a car flipped on its top. The accident occurred just past the I-471 overhang, heading down the hill towards Southgate at around 10:35 a.m. Witnesses on the scene say that an elderly female driver was being pulled from the car by emergency responders after hitting a parked car. 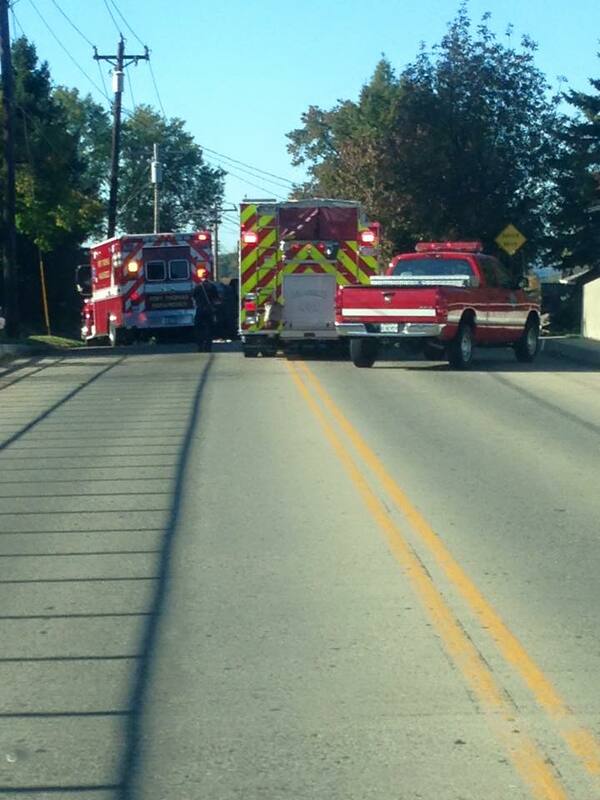 They report that Fort Thomas Fire and Police were on scene in a matter of minutes. Airbags were deployed in each of the cars involved in the accident. The parked vehicle was knocked into a yard on Highland Avenue. It is not clear yet how many people were involved in the crash or the extent of the injuries. 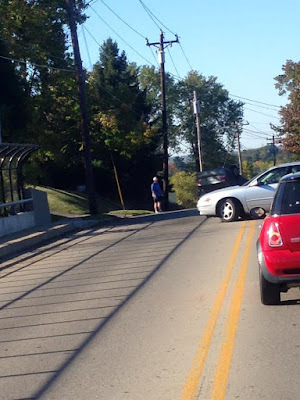 Highland Avenue is currently closed from Grand Avenue to the Campbell County Library, Carrico Branch. FTM will update the story as more details become available. 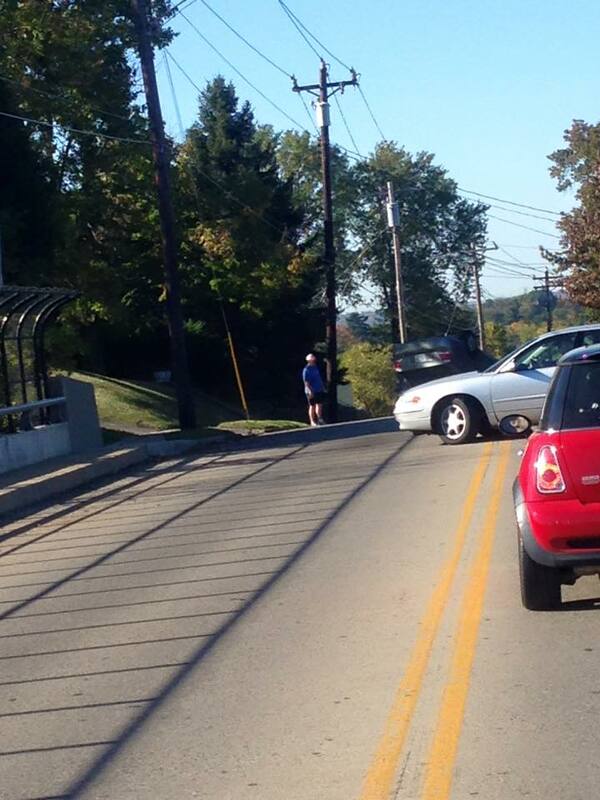 The driver of the vehicle was transported to the University of Cincinnati hospital. She has multiple cuts and lacerations, but she is communicating with police. Wreck is cleaned up and Highland Avenue has been reopened.